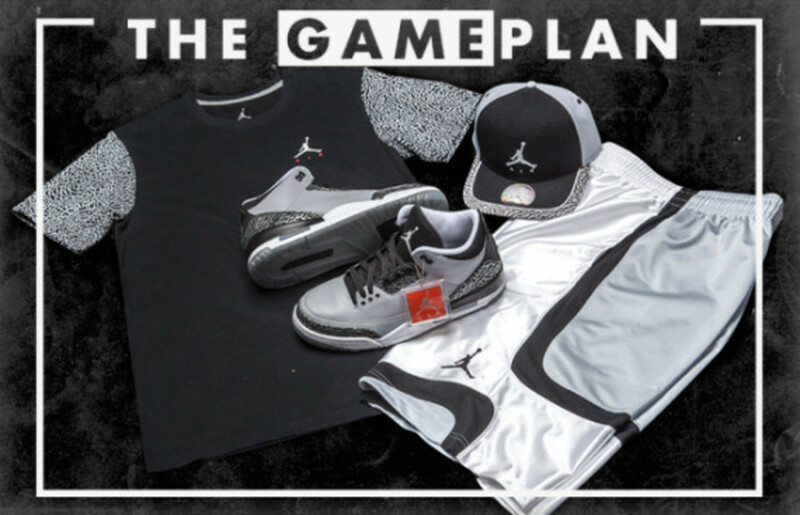 Just a shade darker than the usual “Cement Grey” colorway, the upcoming Air Jordan 3 in “Wolf Grey” is the perfect in-between model to the original 1988 Air Jordan 3 Retro “White/Cement Grey” and “Black/Cement Grey”. 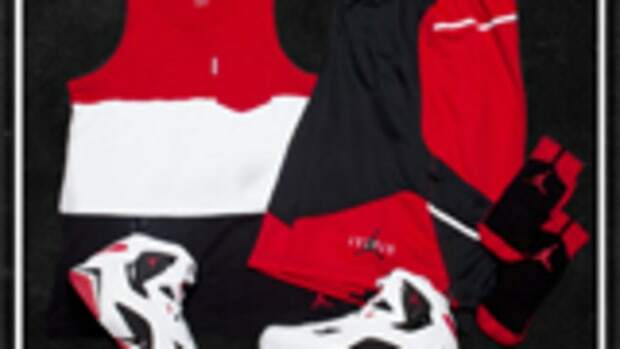 Known as the first Air Jordan designed by the iconic Nike designer Tinker Hatfield, the Air Jordan III was also the first to attain the “Nike Air” logo within the Air Jordan product line. 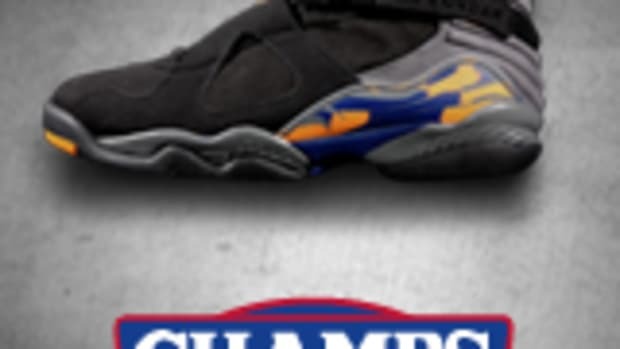 It was movie director Spike Lee, however, who propelled the Michael Jordan signature into a mythological status when he added them to his “Mars and Mike” advertisement campaign for Nike. 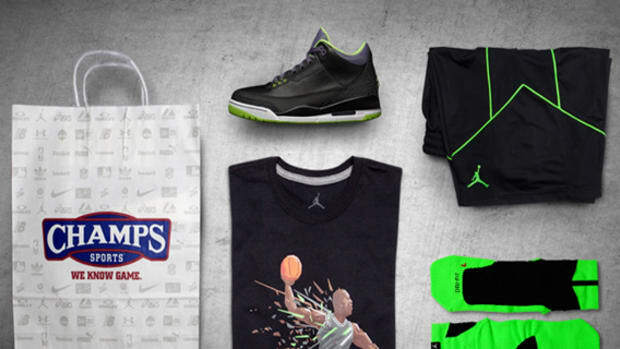 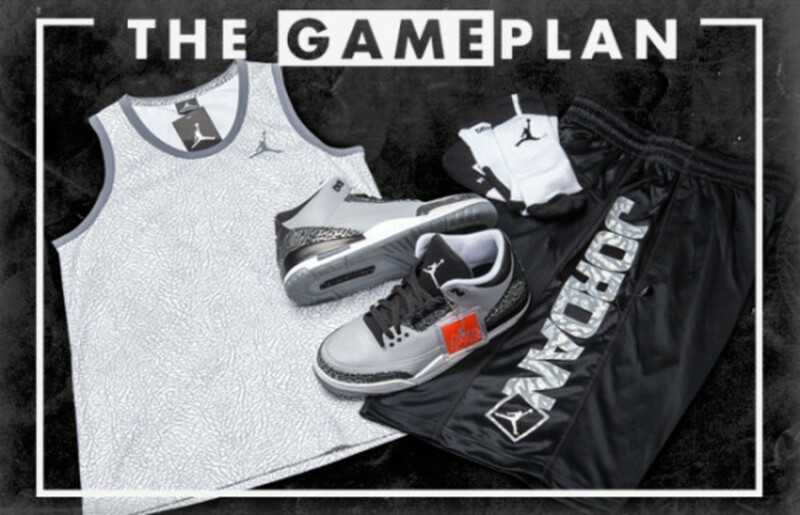 For its ongoing The Game Plan initiative, retailer Champs Sports curated a series of mix and match ensembles that perfectly complement the Air Jordan III “Wolf Grey”. 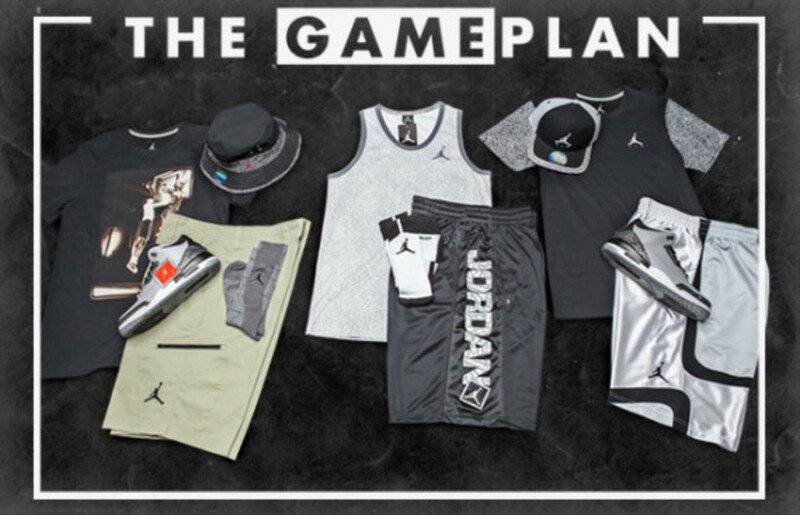 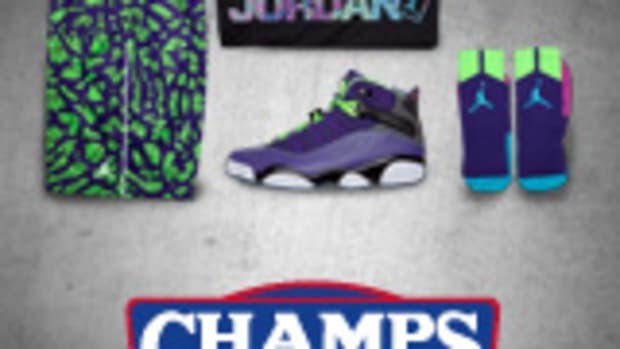 To those with an inclination to the classic Air Jordan look, Champs Sports will be providing a head-to-toe solution of the Jordan Retro 3 Snapback Cap in Grey, Black Reflective and Elephant Print ($35 USD), the Michael Jordan Tee in Black, White with Elephant Print Sleeves ($40 USD), and Michael Jordan Court Vision Shorts in White, Platinum and Black ($40 USD). 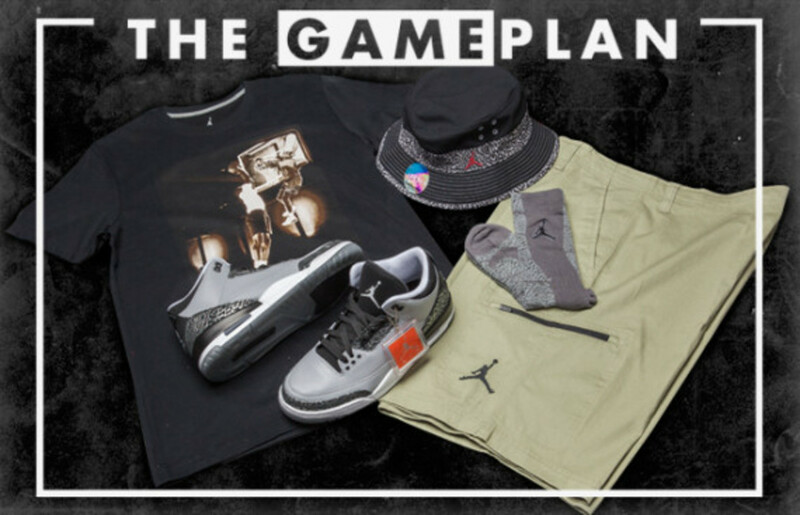 Set to launch along side the Air Jordan 3 in “Wolf Grey” this coming Saturday, July 19th, at your local Champs Sports. 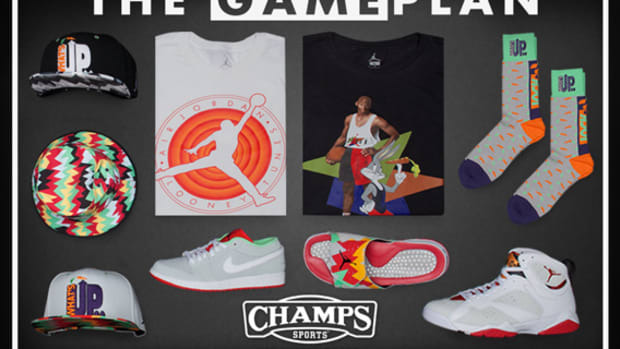 Check the store locator at ChampsSports.com to find your nearest retailer and cop the collection today. 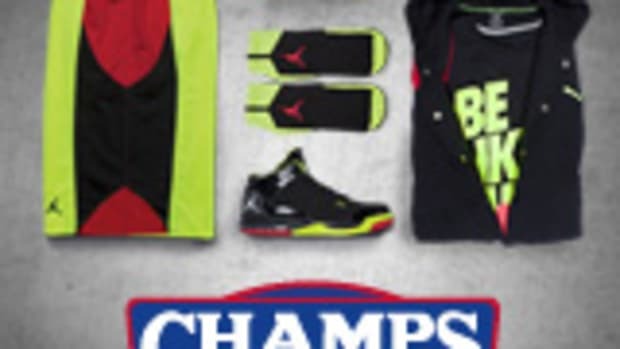 And to see more game, check out TheDrop365.com.